These commercial duty steel plain bearing architectural hinges are offered in a variety of sizes and finishes to complement any decor. 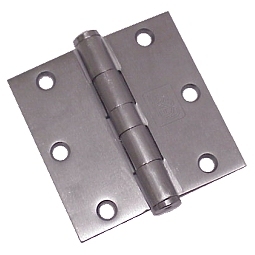 All hinges are supplied with mounting screws. Made of .123in. thick steel.